Vandals are slowly turning the building into a greater mess – broken windows, missing perimeter fences, stolen security lighting, stolen air conditioning, stolen motors, broken water pipes, vandalised man holes, graffiti and broken dreams inhabit a space once full of hope and promise. The Red Location Museum has been closed since 18 October 2013 due to community protests around RDP housing issues. Over 5 years later and with two dates announcing the re-opening of the precinct come and gone the reasons for the forced closure of the Red Location Museum seem to have coalesced into a simple squabble over 8 square meters. On the surface the squabble started over sub standard RDP housing built for the Red Location Community – the initial homes were 48 square meters in size, of non-plastered ash brick with NO internal walls. 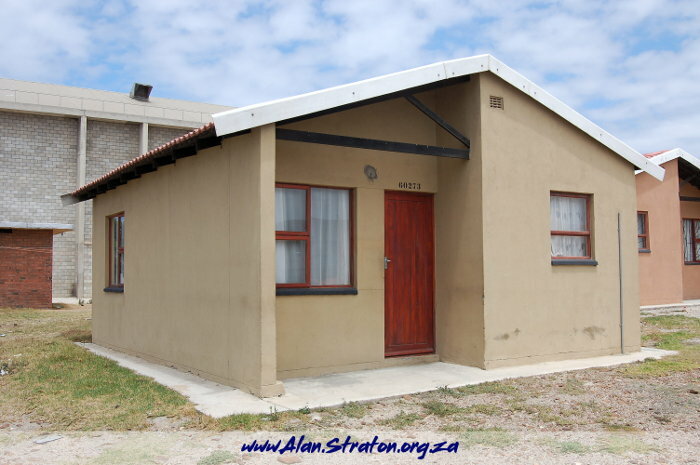 At the time the Nelson Mandela Bay Municipality elected to demolish the sub-standard housing and build new RDP homes which one would have thought a good thing. The new RDP houses built are plastered, have internal walls and are smaller by 8 square meters (at 40 square meters). Apparently the smaller size of the houses were the next bone of contention for a disgruntled community who ensured that the Precinct remained closed. 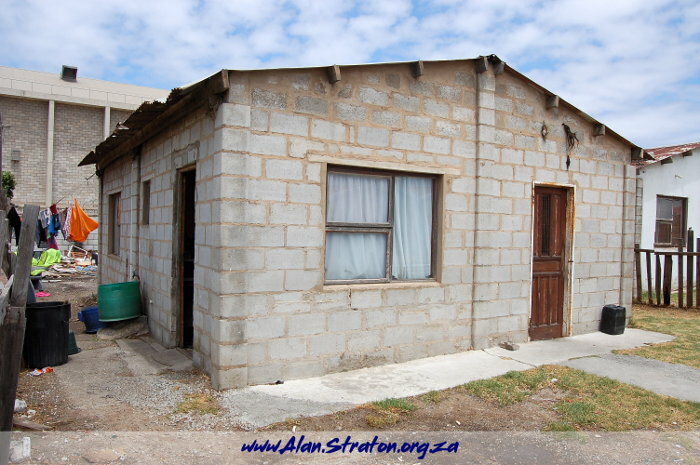 It would seem that the communication around RDP housing and it’s different forms was not done properly as most RDP houses offer nothing more than a shell, although some may have one or two interior walls to divide up the living space. It is probably this lack of clear direction that is a source of conflict and unhappiness in most cases. We are now in 2019 and still seeking solutions. 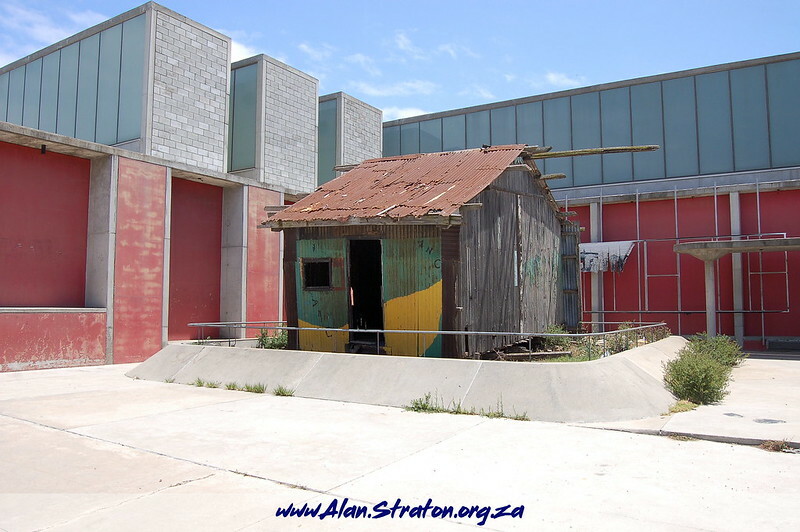 Standing like a beacon in the middle of a destitute mass of brightly coloured small houses within sight of Algoa Bay’s breakers, the Red Location Museum opened its doors to the public on 10 November 2006. Built as a tribute to the liberation struggle against apartheid, the museum incorporates the corrugated iron theme of informal settlement living. It consists of galleries housing a variety of exhibitions and arrangements of montages, timelines and modules, detailing the history of the township, its people and their place in the bid for liberty. Its unconventional stark but spacious structure architect Joe Noero has incorporated the corrugated iron theme of informal settlement living in his design includes a series of memory boxes consisting of twelve lofty free-standing galleries which house a diversity of photographic and art exhibitions. A further 5 arrangements of montages, timelines and modules detailing the history of the township its people and their place in the bid for liberty, line the walls. My first couple of visits to the Red Location Museum left me with a sense of unease and persecution as a person associated with apartheid as a result of the colour of my skin, my service in the apartheid army and accidental timing of my birth. But, then, a sense of empathy and understanding of just what that terrible period in our history meant to my fellow South Africans arose within me and I found myself looking forward to visiting the Red Location Museum again and again. I became an unofficial promoter of the Red Location Museum’s contribution to the healing of our past and it’s contribution to mending fractured relationships and distrust by taking many people through. And then – we as a city allowed a certain sector of the population to close the museum. That healing power of the Red Location Museum has been lost to us as a city and nation and it is time to bring it back. We fail to understand just what draw power a museum such as this has for foreign tourists and that benefit to the greater community. Next: What is the more damaging crime? Racism or State Capture?